Derailed passenger cars involved in the 2015 Philadelphia train derailment. We hear all the time in the “liberal” media about “socialism.” Yet we only hear one side of the story. The side of the story we hear is how we just can’t tax corporations and we can’t tax the wealthy, because somehow this is going to hurt “jobs.” Basically the wealthy threaten us continuously with billions of dollars of advertising propaganda. We are told that profits must be private. In other words: if you tax us, we will take our ball and go home. The side we don’t hear is that the wealthy love what they call “socialism.” They love government when it’s redistributing costs and risk. This side of the story we only hear when there’s a major crisis, like the economic collapse of 2008. Banks are suddenly “too big to fail” and the public must bail them out. There are numerous methods corporate special interests use to push costs down onto people. One way they do it is by getting rid of safety regulations. Here’s an example David Cay Johnston uses in his book Free Lunch: How the Wealthiest Americans Enrich Themselves at Government Expense (and Stick You With the Bill). Most of the relatives of those killed in the CSX crash quickly accepted payouts (likely in exchange for not suing). One woman, however, Angela Palank, sued to find out what had really happened to her husband. Clamp even testified under oath that Bowers directed him to fill out false inspection reports. When CSX tried to get the testimony of Bowers thrown out, Palank’s lawyer argued that CSX did it to save $2.4 billion, the amount CSX saved from skipping maintenance. 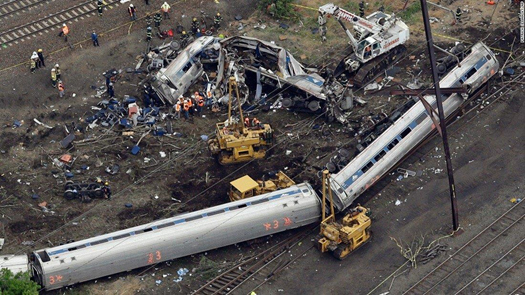 The malfeasance was confirmed by the subsequent investigation of the National Transportation Safety Board. They confirmed the inadequacy of the repair. They confirmed that safety inspections would have revealed the defective pin. And they also confirmed that this had been going on for more than 10 years. The railroad’s conduct was deemed “borderline criminal” by one judge on the case and the jury awarded a settlement of $50 million. Angela Palank donated most of this to a charity of her husband’s. Society paid with eight human lives … The clear and convincing evidence showed that the price of cost-cutting safety to turn over larger profits is too great of a price. Now $50 million sounds like a lot of money. For every dollar CSX saved, however, they only had to pay pennies in settlement and litigation costs. Or at least you’d think CSX had to pay pennies on the dollar. Actually, CSX didn’t pay anything. The freight railroads, through their significant lobbying efforts in the 1970s, had shielded themselves from all claims by Amtrak passengers. Under federal law, all claims arising from Amtrak passengers, even in cases where Amtrak was not at fault, must be paid by Amtrak. Even though CSX, who was responsible for maintaining the rails was at fault, Amtrak paid. Meaning that the costs were all subsidized by taxpayers. The term economists use to describe this situation, when someone gets rewards with no risks or costs, is moral hazard. 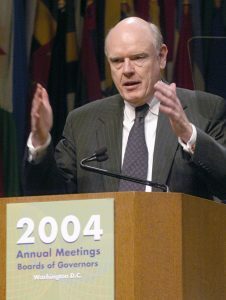 Moral hazard was also the cause of the 2008 financial collapse. All the incentive was for banks to lend recklessly to homeowners because they could resell the loans into privatized securities (that supposedly could not possibly fail). Moral hazard is just one of the ways in which corporate executives and the wealthy privatize profits and socialize the costs. The next time you hear someone talk about the dreaded “socialism” of paying taxes, talk to them about how corporations love socialism, so long as it’s socializing costs. The 99 percent pay the cost and take the risk, and 1 percent reap the benefit. Corporate special interests are the worst kind of “socialists.” They want everyone to pay the costs, while all the profits are funneled off to the private accounts of a few.